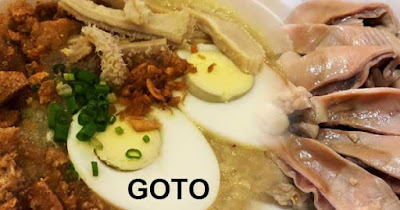 Goto as one of the favorite food of Filipinos is really addicting once you experience the extraordinary taste of it. Since it is very famous, I believe that you also appreciate and enjoy its amazing aroma when you are about to start the food. Usually in our country today, there are a lot of different recipes of goto or what they called on its English term as rice porridge. Some people mixed chicken, pork or beef to add to its delightful flavor. Well, if you really want to know-how a unique taste of Goto, here is a special recipe authored by Vanjo Merano. Simply follow the procedures below and be amazed at the product. In order to prepare all the needed ingredients, you should at least 10 minutes to get ready with all whatever needed, and at least 1 hour to cook the Goto with a total time of 1 hour and ten minutes. The recipe below is good for 4 persons. Add the ox tripe, pig intestine, and 1 teaspoon salt. Boil for 2 to 3 hours or until soft. Add water as needed. Remove the tripe and intestine from the pot to cool down and then slice into bite-sized pieces. Set aside. Add the rice. Allow the water to boil once more and then adjust the heat between low to medium. Cook for 30 to 45 minutes or until the desired texture is achieved. Add water if needed and stir every 5 minutes or so to prevent the rice from sticking to the pan. Transfer to a serving bowl. Add egg and top with green onions, toasted garlic, and crushed chicharron. Marrying an Overseas Filipino Worker (OFW) is a hard option. If you plan to marry one of them someday, you should have to endure your longing for him and be both a great mother and father to your would-be children. In this article, we will talk about the advantages of marrying an OFW since there are still positive sides why to marry them. It doesn’t speak about practicality but it just merely the reality. The very reason why an OFW works is that of money. If we to compare dollars to our money in the Philippines, it is really away bigger. Of course, as a spouse of an OFW, if you are only clever in managing the money your wife or husband sending you from abroad, it could be a good investment for your future business. If your goal is to have a permanent residence and big house, a luxury car and a business to handle, there may come through with the help of your OFW partner, including your goal for your children to finish their degree. Since OFWs stay longer in abroad and went home in the Philippines once in a blue moon, there are moments that he/she go on a vacation with his/her family. This will be now your chance as a husband or wife to go travel to places you never been before or wants to visit too. Beside in local, your dream to go in another country might also come true. Your spouse can take you to the place where he/she is working since acquiring a visa for these days are easier if your sponsor is your husband/wife. Since your partner is in another country, you can concentrate to manage and handle your kidos and of course yourself. You can divert your longing to your wife/husband by enrolling free courses online or engage in the different type of business. 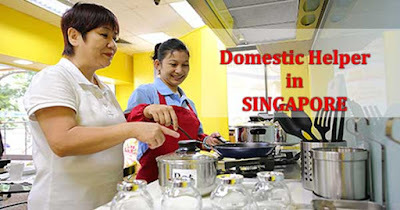 OFWs are good in the different languages since they mingle with different people and especially with their employers. As a spouse, you have also the potential to improve your language proficiency, especially in English as the international language. This would be a great help for your future. Budgeting is easy if the family is composed of fewer people. The same through with your savings, you can earn more if you spent only on what are the priority needs. If you have an OFW spouse, there will be a big tendency that you will also work in another country. Most of our OFW chose to take their husband or wife to their workplace to work together in order to earn bigger. Once it’s enough, they decided to migrate to the area together with their kids. Because of long distance relationship, your desire to see your partner become stronger. Both of you is too much excited to reunite again including the whole part of the family. This will help the relationship to become firmer and long lasting. Unlimited supply of chocolates and other imported goods. Filipinos are very fun of chocolates and imported items. You will no longer worry since you have now adequate stocks and you could also sell them as an alternative business. Youtube has been a great help to all of us; having its variety of roles which gives us benefits such as: entertainment, stress reliever, tutorials and many more! Now, we come down to one of the important assets of life: Business. As we all know, Youtube can be a source of income which before was just made for fun and entertainment. Now, countless Vloggers are being known for their channels and one of them is our focus for this section. 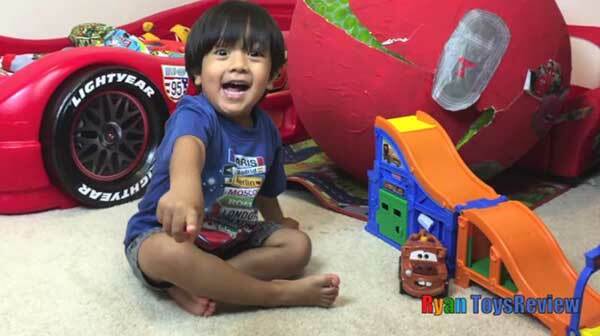 The kid who has made Millions of Dollars by making Toy Reviews: Ryan Toys Review. 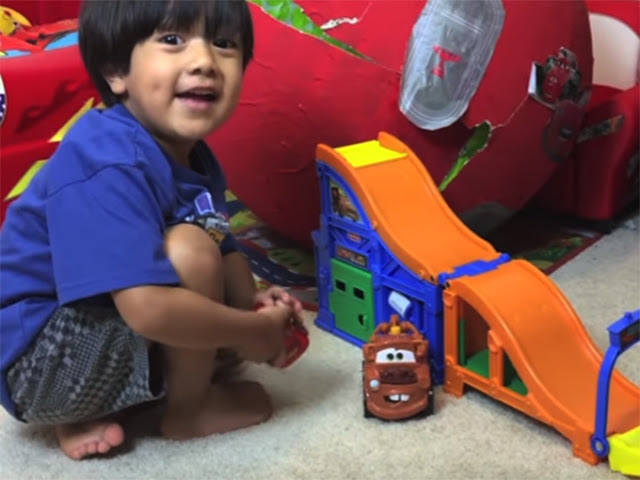 Ryan was just a fan of Toy Review channels before, but now, he owns his own channel together with his parents which went viral at one time. 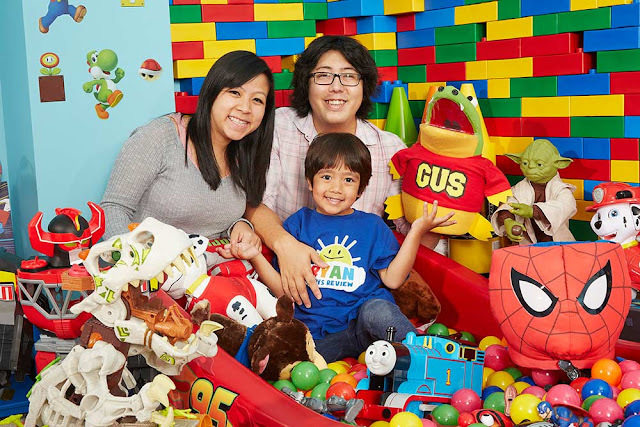 He, together with his Mom and Dad, started his own channel when he was three. Out of curiosity and fandom towards Toy reviews, he built his own thing. They started filming on March 2015 where they bought a toy from a store, took it home and then played with it while having the camera rolling and then they posted the video on the internet. As of today, that same video already has over 30 million views. That same year, on July, they posted a video with Disney's Cars theme and it went viral. The channel gained an immense number of subscribers and is now reaching 11 Million. These subscribers alone, can guarantee them a Million views a month! What more with the other views and advertisements? Ryan even placed into Forbe's annual list of highest-earning Youtube celebrities. During their first videos, the only people featured in the video are Ryan and his Dad, leaving Mommy behind the camera. In the year 2016, she finally joins the frame together with two more additional members in their family. They are the twins Emma and Kate. Later on, they created another channel focusing on their adventures as a family. They named it: Ryan's Family Review. It features the growth of the twins from their first steps along with their first actions. Their fans rejoiced! Ryan and his family generated around $11 Million pretax, according to elite readers, and this is only for the year 2017 alone.